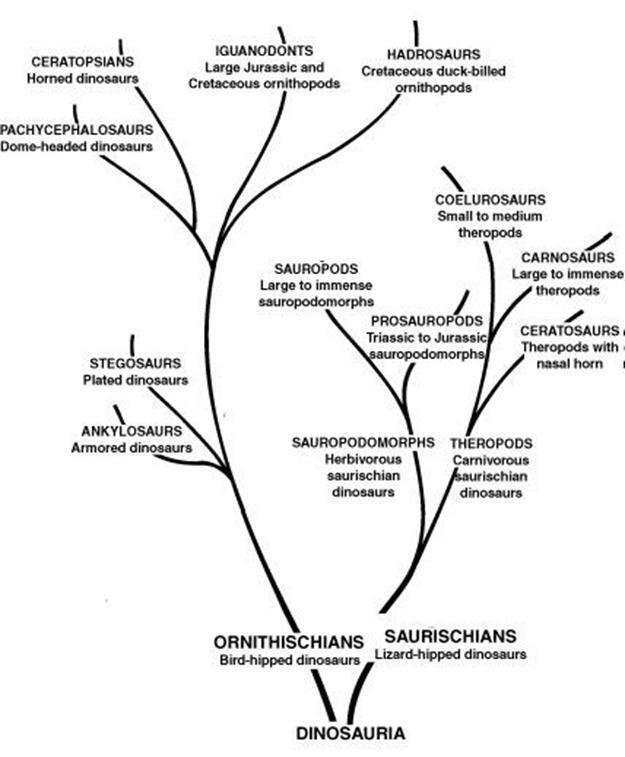 Dinosaurs evolved to fill almost all ecological niches- large, small, herbivores, carnivores. 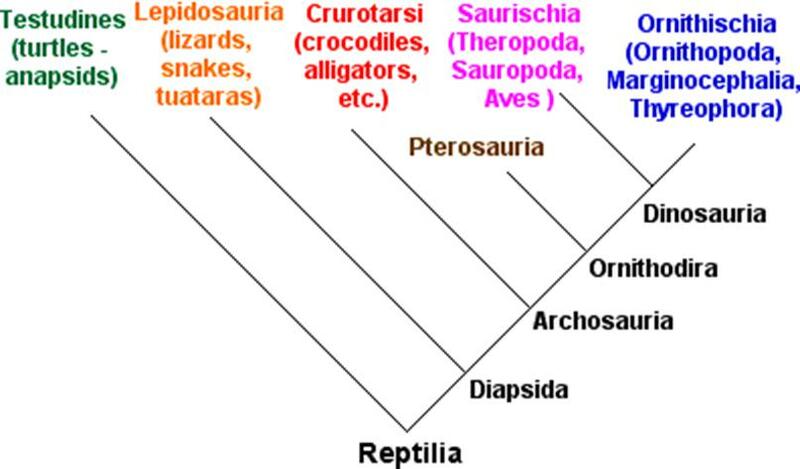 Dinosaurs are classified into two groups: lizard-hipped & bird-hipped. 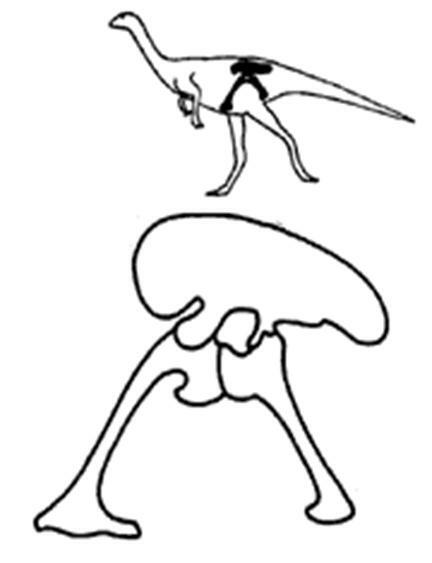 The Saurischia (lizard-hipped) dinosaurs have the three main bones of the hip girdle arranged with the pubis (front bone) pointing forward (like reptiles). 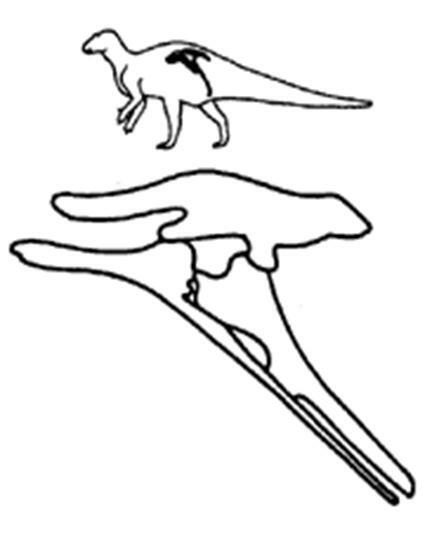 The Ornithischia (bird-hipped) dinosaurs have the hips similar to that of modern, but not fossil, birds. All of the ornithischians were herbivores. 66 million years ago, all dinosaurs became extinct except for a group of theropods which had evolved into birds. Current evidence is that a meteorite caused volcanic activity and climate change (KT event). The earth was hotter and drier, and large organisms didn’t have enough food to survive.